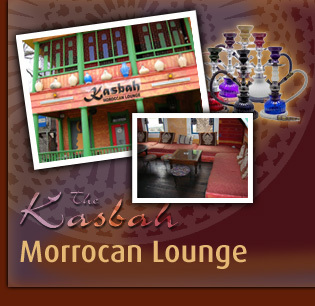 At The Kasbah Moroccan Lounge our goal is provide you with the ultimate hookah lounge experience. 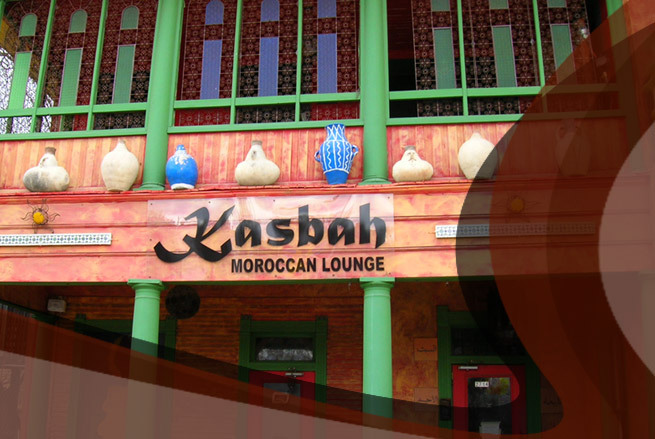 The Kasbah Hookah Bar is located in the heart of the UT campus in Austin, TX. We offer only premium hookah tobaccos, ornate hookah pipes, and a beautiful Moroccan hookah lounge environment. For those who enjoy smoking hookah pipes, The Kasbah is a great place to relax, listen to a wide variety of music, chill out, and enjoy a deliciously prepared hookah pipe. We offer FREE Wifi, a wide selection of delicious Moroccan teas, a full coffee bar, drinks, snacks, and much more. The best part of The Kasbah hookah lounge is the people. You will be greeted by our friendly, knowledgeable staff and you will be surrounded by other Hookah Lovers. The Kasbah hookah lounge is proud to offer the widest selection of hookah tobacco flavors with over 75 to choose from. We have traditional hookah flavors like double apple, mint, and strawberry. We also carry unique Kasbah hookah tobacco mixes including flavors like Blue Myst, Good Times, Berry Breeze, Ivory Coast, Pumpkin Spice, Purple Haze, and many other Kasbah hookah blends. We also offer a wide variety of coffee, drinks and snacks at our hookah bar. Smoking a hookah pipe is one the oldest traditions in the Middle East, where friends and family gather over a cup of tea or coffee and enjoy each other's company. Hookah pipes originated in Turkey over 500 years ago and have since been a tradition common throughout the region. Hookah lounges, hookah cafes, and hookah bars have since popped up all over the world including Europe, United States, Latin America, and Asia. Smoking a hookah pipe is a very relaxing, social, and unique experience.